Screen porch augments the value of house and allows the dweller to enjoy the indoor environment in the outdoor beauty. Enclosed with the screen, the porch is ideal to be used in any season. It allows you to enjoy the tropical ambience without the annoying bugs. 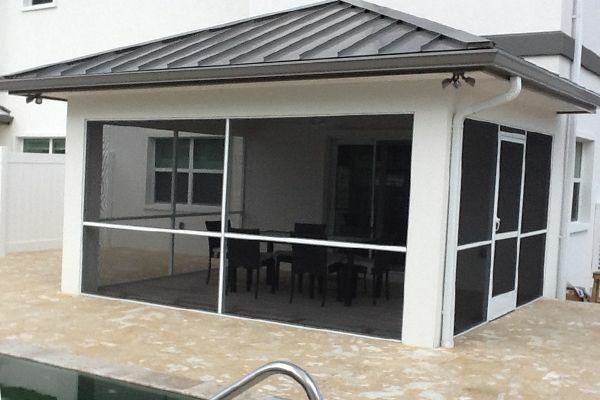 We, at Ishmeal Shutters, build aluminum framed screen porch in the Cayman Islands that provide maximum strength and visibility along with the maximum durability for the room. Be it screened-in patio room, screen-in porch or a screened deck enclosure in the Cayman Islands, we will deliver an excellent finished product with our best quality materials and services.